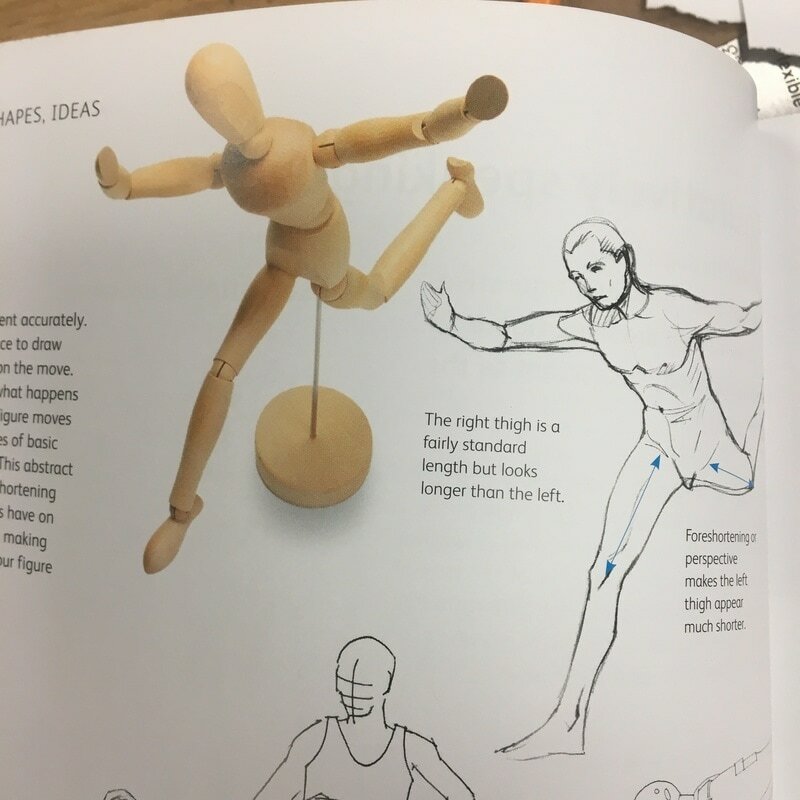 Good figure drawing describes movement accurately. This exercise will give you the confidence to draw quick, emotive line sketches of figures on the move. 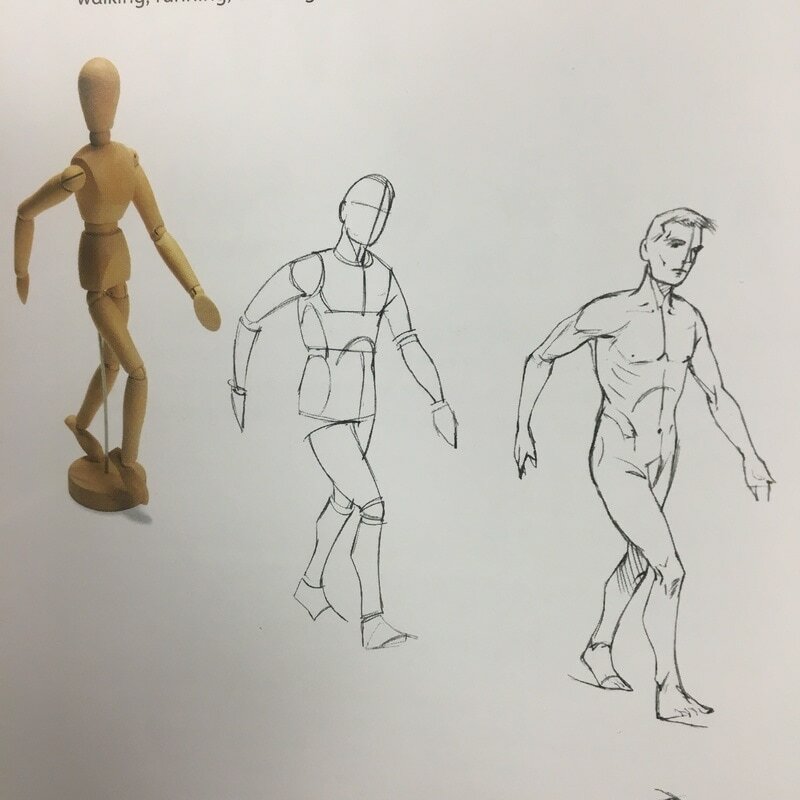 Use an artist's mannequin to observe what happens to the standard body proportions as a figure moves through space. Draw the body as a series of basic shapes, almost like a geometric sketch. 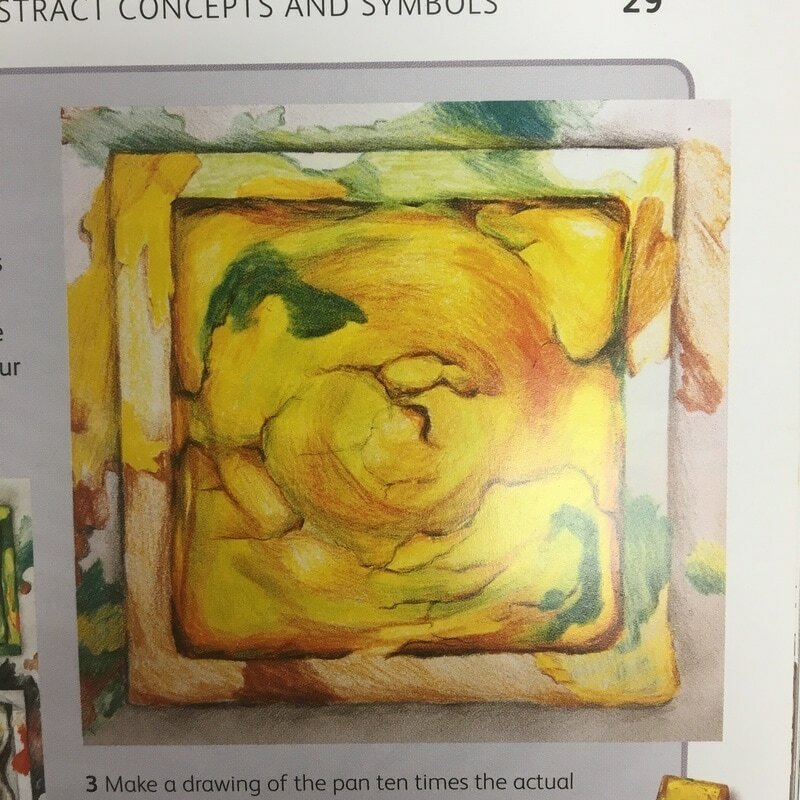 This abstract simplification will help you see the foreshortening effect that different viewpoints or angles have on certain body parts. Flesh out your figure, making line quality descriptive of shape. Draw your figure walking, running or skiing. You need at least 10 different drawings. 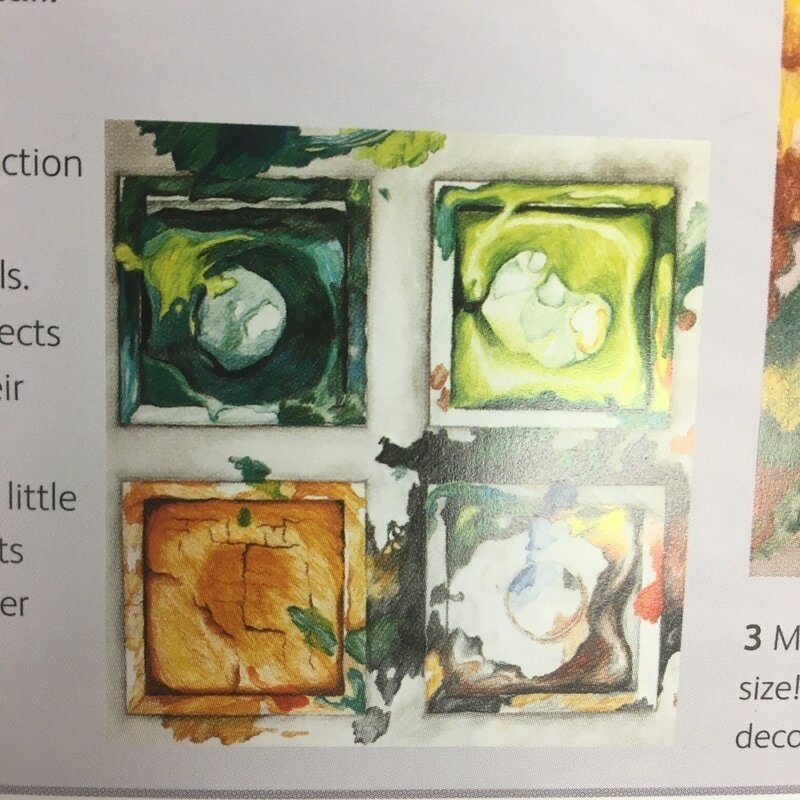 Choose a collection of ordinary objects such as the watercolor pans shown below to render in a variety of media. Use your hands to "frame" your composition. Paint the pans in several different colors. Look at the finished painting through the "frame". Now focus on painting on single pan, but at a much bigger size, so that it no longer is recognizable because the change in scale has rendered it abstract. Alternatively, paint an object of your choice upside down, on its side, or select a small detail. Ever wonder where numbers came from? Ok, maybe not, but there is some mystery to these magic characters. Ever wonder how we would count if there were no numbers? OK, again, maybe not. There is a lot of security in numbers. They never lie. There are no double meanings. There's no past tense, present tense, participles or conjunctions. There are only ten useable digits, and every number is made up of some collection of them. Then there are things like Roman numerals, an alternative system of numbers. In the vein of Roman numerals, your task today is to create a new set of "numbers." Your only restrictions is that they can't be numbers, and they can't be Roman numerals. Invent another writable, countable method for representing numbers. Mumaw, S., & Oldfield, W. L. (2006). Caffeine for the creative mind: 250 exercises to wake up your brain. Cincinnati, OH: HOW Books.